The Cadillac ATS-L sport-luxury sedan is a variant of the ATS sedan family specific to the Chinese market. The vehicle features a longer wheelbase for more rear-seat space. 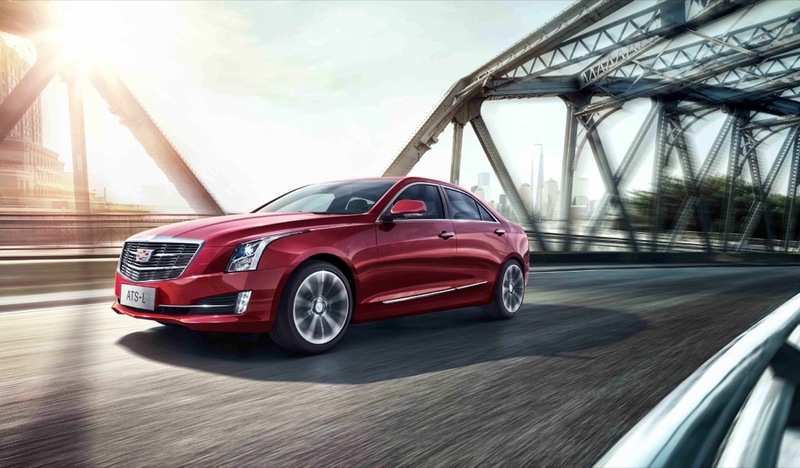 For the 2016 model year, the ATS-L receives several updates and new features that focus on improving performance, efficient,y and connectivity. The 2016 ATS-L replaces the 6-speed automatic gearbox from the 2015 model with GM’s all-new 8-speed 8L45 automatic transmission, while also bringing GM’s industry-leading Start-Stop system to the 2.0L Turbo I4 engine. 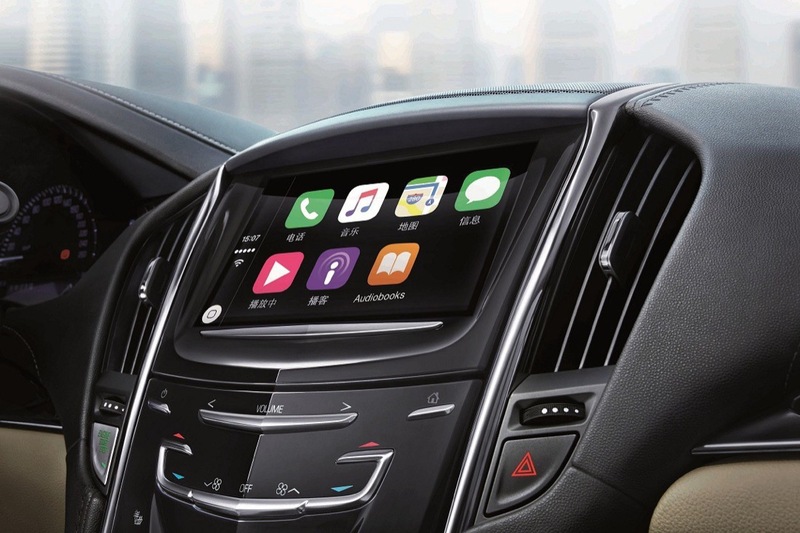 What’s more, the ATS-L will also become the first model in China to offer OnStar 4G LTE service and the first model in its class with OEM on-board Wi-Fi, dubbed Car-Fi. The integration of OnStar 4G LTE technology and on-board Car-Fi allows users to connect up to seven mobile devices to the Wi-Fi hotspot, which works within 700 square meters (nearly give or take 700 yards) of the ATS-L. 4G LTE is 10 times faster than 3G technology while being more stable. Lastly, the CUE infotainment system is seeing various updates, including upgraded hardware and an optimized processor that makes it up to three times faster than before. The upgrade also delivers deep compatibility and integration with the Apple iOS-based Apple CarPlay system, thereby ensuring a simple, user-friendly mobile operating experience. The integration is first in the segment and provides an unprecedented connected experience. Though not mentioned by Cadillac, initial pictures of the 2016 ATS-L show the vehicle with the new Wreath-less Cadillac Crest emblem. By contrast, the 2015 ATS-L featured Cadillac’s outgoing “Wreath and Crest” logo. 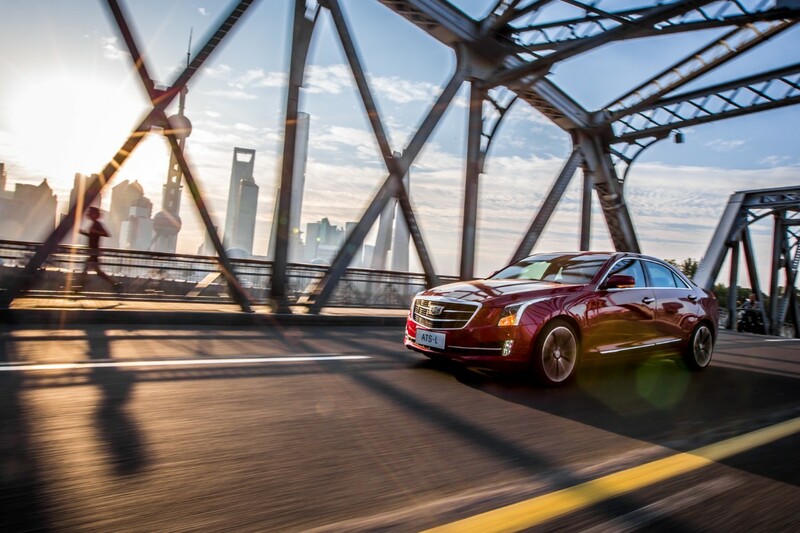 Cadillac says that the updates and new features will allow the 2016 ATS-L to “appeal to more customers in China’s mainstream luxury sedan segment, especially younger car buyers.” It will go on sale in China on October 12th, 2015. 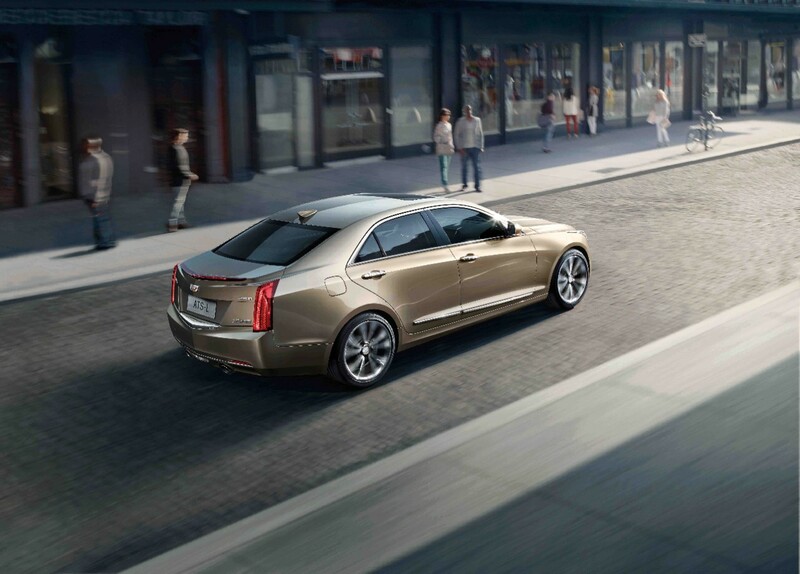 Based on the Cadillac ATS Sedan already sold in global markets, the ATS-L was developed with a focus on enhanced luxury and comfort along with uncompromising driving dynamics. It features a wheelbase that is 85 mm (3.34 inches) longer than its non-L brother, maximizing legroom by 27 mm (1 inch) and headroom by 73 mm (2.87 inches) for passengers riding in the back seat. The ATS-L also features several ergonomic enhancements to its the rear seats, with nine major storage compartments, including additional compartments on the rear doors, a redesigned central armrest console in the rear seat, as well as a cup holder with a removable cover. Just like its slightly shorter sibling, the ATS-L delivers a nimble and balanced ride thanks to its 50/50 front-to-rear weight distribution made possible by a high-strength and lightweight architecture, Brembo Brakes, Magnetic Ride Control suspension, and high-performance run-flat tires. It comes with a high-performance turbocharged 2.0-liter inline four engine that is available in two different tunes. Paddle shifters on the steering wheel enable the driver to select manual, comfortable, sporty or anti-skid driving modes. 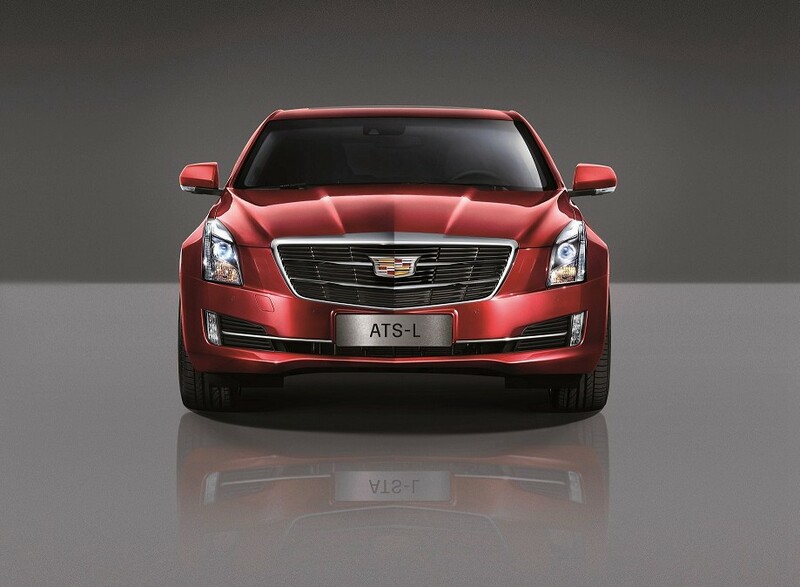 The 2015 ATS-L is manufactured at a Shanghai-GM plant and went on sale in China in August 2014. The updated 2016 ATS-L went on sale in October 2015. The 2016 ATS-L continues to be offered with GM’s turbocharged 2.0-liter I4 Ecotec LTG inline four-cylinder engine, but in two different tunes known as 25T and 28T. The more powerful 28T variant makes 275 horsepower (205 kW) and 295 pound-feet (400 Nm) of torque, enabling the ATS-L to sprint to 60 MPH (100 KM/H) in a brisk 6.2 seconds. The 25T variant, meanwhile, makes a still-respectable 226 horses (169 kW) and 260 pound-feet (353 Nm) of torque, allowing the ATS-L to complete the same sprint in 7.1 seconds. For 2016, the 2.0L Turbo I4 LTG engine also features a Start-Stop system. Note: the “non-L” ATS only offers the lower-output 25T engine in China. Outside of China, the regular-length ATS offers the 2.0L Turbo I4 LTG with the 28T tune, simply known as 2.0T. About The 2.0L Turbo I4 LTG Engine The 2.0-liter LTG is powerful yet efficient thanks advanced technologies like Spark Ignition Direct Injection (SIDI) and an active variable displacement pump. The use of highly rigid parts reduces noise and vibration, while reinforcing durability. The powerplant has been named one of Ward’s 10 Best Engines. In North America, the ATS offers the 28T LTG motor, along with the naturally-aspirated 2.5-liter I4 LCV and 3.6-liter V6 LFX. The 2016 ATS-L features GM’s all-new 8-speed 8L45 automatic transmission, while also bringing GM’s industry-leading Start-Stop system to the 2.0L Turbo I4 engine. 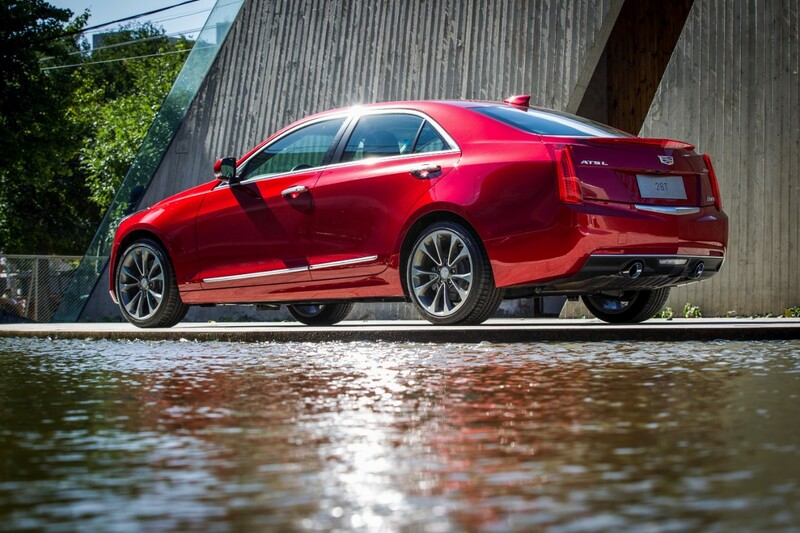 The 2016 Cadillac ATS-L is available exclusively in the Chinese market. The 2016 Cadillac ATS-L went on sale in China on October 12th, 2015.